What are we waiting for? Nuclear attack of global cataclysms beginning? Extraterrestrial civilizations give mankind an opportunity not to be destroyed in global cataclysms, but to make the Transition into a new cycle of life. With this goal, they informed humanity the scenario of preliminary cataclysms that will happen during one year before the start of a global. According to the scenario of the beginning of global cataclysms one of pre-cataclysms will occur in the period from June 22 to July 22 and two others preliminary cataclysms will occur on September 22-23 and on March 20-21 on the dates of autumn and spring equinoxes accordingly. Consequently, for preparation for the Transition we will be given a small but sufficient amount of time. Extraterrestrial civilization would not allow overturning of the poles, because otherwise humanity will be destroyed. The scenario of global cataclysms beginning has been composed by extraterrestrial civilizations at the dawn of development of mankind’ consciousness. Extraterrestrial civilizations want that the civilization living on Earth and not suspecting about the beginning of global cataclysms, has not perished, but continued life on other level of the material world without cataclysms. In order to prevent the chaos from unexpected super-strong blow of the Nature, extraterrestrial civilizations have decided to conduct as a warning a little earlier preliminary cataclysms along the trajectory specified to mankind in advance and corresponding to the weakest magnetic field of the planet. Extraterrestrial civilizations believe that mankind that has reached the highest level of consciousness for the planet Earth, once experienced the incredible power of natural forces, realizes the mortal danger, and through unification of consciousness will make the Transition to the next cycle of life. Therefore, having experienced a blow of incredible force of the first pre-cataclysmic civilization of Earth will make the Transition before the second pre-cataclysm, i.e. between the first and the second pre-cataclysms. We, civilization of Earth, were informed about the developed scenario through the complexes-pictograms created worldwide and forming the System of information transmission. Extraterrestrial civilizations gave mankind the key for reading the symbolic of consciousness through which the information is transferred by all complexes-pictograms, just at the eve of the events. The complexes were built long before the beginning of fundamental changes on the planet and describe in detail the sequence of ETC scenario and the necessary actions of the Earth civilization. The main warning transfer: world-famous shadow effectof the descending serpent on Kukulcan pyramidin Mexico, as well as complexeswith the effect ofsunlightin Scotland.In thesecomplexes is createdthe effectofthe reality ofthe event which takes placeright now. Thus, the effect on Kukulcan pyramid indicates the dates of two pre-cataclysms. The effect ofsunlightin the complex Maeshowe, Scotland, on the day of the wint ersolstice December 21 designatesthe dateof transfer of the planet Earth in to the cycle of destruction by global cataclysms. Numer ous highsinglestones, surrounding complexes and shined by the last rays ofthe setting sun, warn about the tragedy ofpeople of Earthwith deepindividual consciousness on the threshold of global cataclysms that have not united consciousness for the Transition. In accordance with the warning of ETC on Tuesday, March 20, 2012 at 12:02:48 am on the way of one of the pre-cataclysms at the Pacific coast of Mexico near Acapulco had occurred a powerful earthquake of 7.4 magnitude with no people losses. 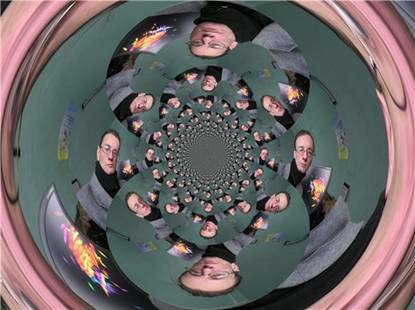 After December 21, 2012 global cataclysms will begin and nobody could escape. Global cataclysms are the result of internal processes in the core of the planet and it is impossible to change their nature. That is why in 2012 the Mayan calendar ends. 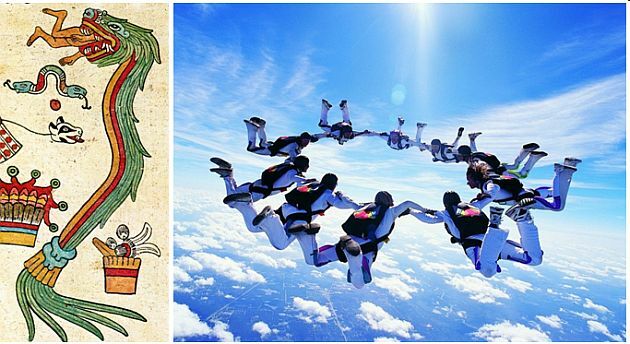 The Mayan calendar warns that before global cataclysms humanity has to make the Transition into the next life cycle. The Transition is really the End of the World, because crystalline body of mankind has to be destroyed in «this world», and in «another different world» humanity will regain life with a new holographic body. The process of the General resurrection in details is presented in many articles of our site. All this information is transferred through complexes-pictograms; the keys to their reading were given to mankind before the events of the developed scenario. The symbol of global cataclysms is the serpent-dragon that can swallow a whole human. Many warning complexes created by ETC along the way of the first two pre-cataclysms – on the Yucatan Peninsula, Mexico – present images of serpents with a man in the mouth, or protruding from the serpent’ jaws a human head. Among these complexes – Chichen Itza, Uxmal, Hochikalka, Tula, and many others. Only the Transition can save humanity of Earth from being eaten by ruthless serpents-global cataclysms. The extreme danger should compel resisting to explanations, clarifications and persuasion and not hearing ETC warnings Earth civilization to make the Transition. Weakining solar activity also should bring Earth civilization to realize the danger of situation. Researchers note that in 2013 is expected the next maximum of solar activity, but not usual – in this period coincide maximum of solar cycles of different scales – the 11-year, 22-year, 90-100 years and 300 years. This is an original energy resonance. Scientists note that our star Sun is in a state of «deep solar winter.» Moreover, solar activity, now is even five times lower than in the lowest known minimum of Dalton, which was observed 300 years ago. However, as it is known, in the period of lower solar activity, activate natural disasters – strongest and numerous earthquakes, floods, volcanic eruptions. According to natural laws – on Earth, at first, should take place the overturning of poles, and only then will begin global cataclysms. Extraterrestrial civilizations constrain the critical reduction of planet’ magnetic field in order to prevent the overturn of the poles, because in this case, Earth civilization will be destroyed in a split of a second. Thus, extraterrestrials are saving human life. According to the research of scientists the overturn of the planet’ poles meaning the poles change – transfer or inversion – occurred in 200 – 250 thousand years. However, the last overturn of the poles or inversion occurred on the planet 780 thousand years ago – it is possible that this incredible delay also happened due to the work of extraterrestrial civilizations. Each «switching» of polarity occurs when the planet's magnetic field is the weakest. Research of scientists have shown that over the last 2.5 thousand years takes place a reduction of intensity of the geomagnetic field and in the last decades have been observed the acceleration of this process. According to scientists, today, many direct and indirect factors indicate that the change of poles either is approaching or have already begun. 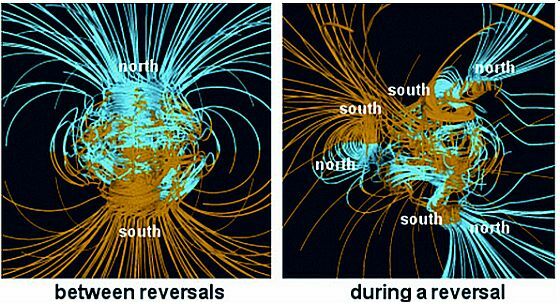 There are certain signs of the poles change beginning, the main of which is the reduction of the intensity of the geomagnetic field, which decreased in ten times compared with the normal. In recent decades is observed an acceleration of the field decreasing. Researchers assert that now the fastest in observable history decrease in intensity of magnetic field happens. In this case, features of the distribution of magnetic power lines become similar to the picture corresponding to a stageof poles overturn preparation. 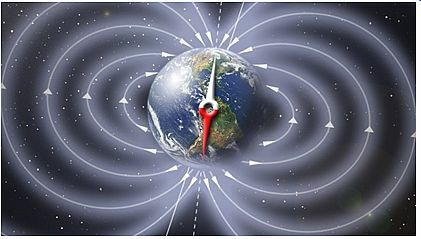 In addition, at the present time is observed a sharp increase in the rate of shift of Earth magnetic poles, which reflects the underlying processes in the core of the planet. North is shifting to the south at a speed of 8 meters per hour, i.e. 180 meters per day or 65 kilometers per year. 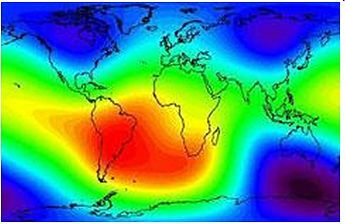 Today, all proof of the critical reduction of Earth's magnetic field is evident. Reduction of the ozone layer, the ozone hole over the South and the North Pole, the mass destruction of birds and fishes, the melting of ice shelves and calving of icebergs, increased UV-index, and others. Across the globe there is activation of earthquakes – on the map it is marked by circles. However, mankind does not want to change anything. Nevertheless, many people have a question – whether there will be in the nearest future a change of magnetic poles due to completely reverse polarity, i.e. north and South magnetic poles will exchange places? Extraterrestrial civilizations claimed that they will not allow overturning of the poles, because otherwise humanity will be destroyed within fractions of a second. Thus, change of the poles will not happen. We need to concentrate on the Transition. 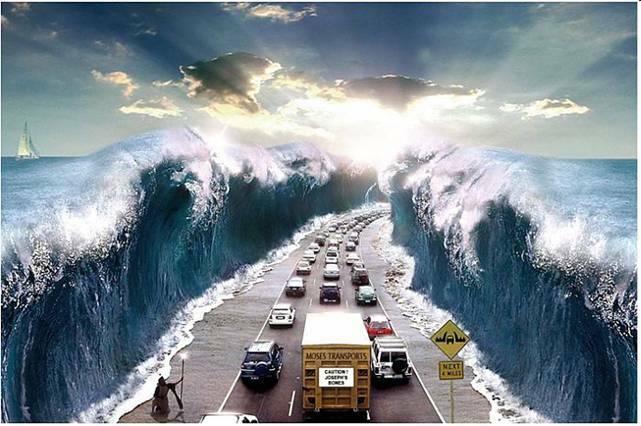 The Holy Scriptures tell that several thousand years ago during the liberation of the Jewish people from slavery in Egypt, Moses through the miraculous wand parted the Red Sea, and people have moved to the other side. Immediately after the Great Transition the Red Sea closed, absorbing the Egyptians, pursuing Jewish people. Extraterrestrial civilization also made for us the impossible. They have created for us a narrow corridor of time between the first and the second pre-cataclysms during which our civilization can safely make the Transition into a new cycle of life. We have deeply to understand that this corridor is only temporary, and will close with the beginning of the second the most powerful pre-cataclysm. Since we live at the threshold of the End of the world events, meaning full completion of the cycle of Consciousness of our civilization, this last period of time is special. Everyone has flaws-imperfections. The biggest of them have already appeared, and corrected during multiple reincarnations. Only the most profound have left. Now is the time of manifestation of these, the most repressed imperfections. We called this process «Shaking of turbidity». Just these last, the most profound defects characterize the carbon bases of humanity. They hide in the wide border of each information cell. In these remaining imperfections are presented everything: the greed, hate, envy, sloth, murder, theft, adultery, betrayal, indifference to the fate of others, and much, much more in this direction. Something more, something less, but everyone has them. These defects are manifested in a very wide border of individual cells of each of us. These imperfections just resist taking a step toward the unification of consciousness for the Transition. But it is a crime, since the Transition is the foundation of our future life. Without having overcome consciously these very small, but extremely influential imperfections, we won't be able to make Transition in time. We would bogged down in these defects, and will not stretch out our hands towards a bright future. About this three times warns the Number of the Beast 666 – both human and apocalyptic number, presented in the Bible which was decoded by as through the analog and digital codes of extraterrestrial civilizations at the eve of beginning of global cataclysms. The Number of the Beast 666 on the one hand, points on the carbon basis of our life, presented in figure 6 – the serial number of carbon «C» in the periodic table of chemical elements of D. Mendeleyev – the great law of unity of matter in the universe. On the other hand, the number 666 shows that in our cell are included three previous levels of consciousness, which have tremendous influences on our decisions - the blind fury of the stars, ferocity of animal and indifference of minerals. This way extraterrestrial civilizations warned about deep selfishness of our individual consciousness, which prevents the unification and therefore deadly for the Transition in the next cycle of life. This defect of our highest consciousness has to be overcome only consciously! This is the last step towards a great future, fully deserved by the incredible struggle of thousands of previous generations during consciousness development. We have to make the Transition in time – in the given to us a short period! We have to remember that we are making the Transition to the cycle of Correction. And each of our delay, and untimely reactions, unwillingness and simply indifference to the Transition required the concentration of all efforts, will significantly respond in the cycle of Corrections for each of us. They are inadmissible for the highest level of our consciousness.